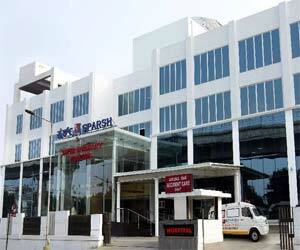 Bengaluru: SPARSH Super Speciality Hospital, Bengaluru recently announced that it has become the first hospital in Karnataka to be licensed to conduct hand transplant surgeries. Hand transplants have been successfully done across the world, and in a few centres in India. However, there is no special unit in Karnataka so far. SPARSH’s special unit will be led by Dr Anand K, recently appointed Chief of Cosmetics, Plastic & Reconstructive Surgery at the hospital’s Infantry Road unit. WHAT A SHAME MORE THAN 100 YEARS OLD BOWRING& VICTORIA HOSPITALS , BEING PART OF BANGALORE MEDICAL COLLEGE, RUNNING DEPARTMENT OF PLASTIC , ORTHOPAEDIC AND MANY OTHER SPECILITIES ARE NOT ABLE TO PERFORM SUCH SURGERIES . WHAT KIND OF PEOPLE RUN OUR SO CALLED TEACHING MEDICAL COLLEGE HOSPITALS AND RESEARCH CENTRE ????. THESE GUYS ARE MOSTLY BUSY IN SITTING IN THE AIR-CONDITIONED BUILDING OF THE STATE CAPITAL AND BUSY IN SIGNING UNLAWFUL APPOINTMENTS OF VARIOUS POSTS . AND ALSO BUSY IN BUYING ALL KINDS USELESS STUFF. THE SO CALLED TEACHING FACULTY MEMBERS ARE BUSY IN ESTABLISHING THEIR OWN PRIVATE HOSPITALS, LABORATORIES, SCANNING CENTRES JUST FEW METERS AWAY FROM THE MEDICAL COLLEGE TEACHING HOSPITAL BUILDINGS. JAI HO……NAAM BADE DARSHAN CHOTE .